Building a good credit score is very similar to building a good reputation; both require an immense amount of work and patience. Loans are a crucial part of the modern man’s life and building a rock-solid credit history is of paramount importance for getting a big loan approved. If you are successful in maintaining a high credit score your quality of life will take a 180-degree turn as you will be able to buy all the luxuries in the world for yourself and your family. But the sad part of the story is that your scores can drop real quick for the smallest of the reasons. It can be disheartening to know that you have a low score when you open your credit report. But hey, do not be discouraged, you can still work things out! Wondering how? 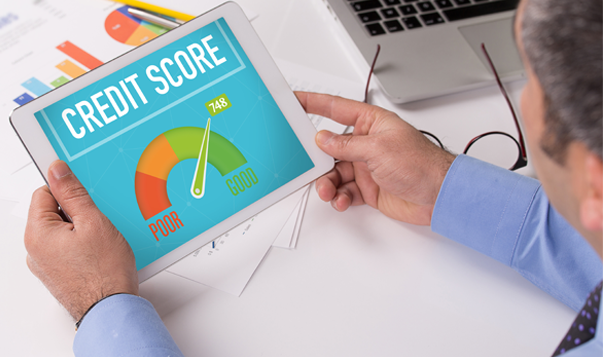 Look no further, we have compiled a list of 4 things you can do to build a great credit score. Yes, however stereotypical this suggestion sounds it is actually true. Every credit risk analytics expert swears by this strategy. A consistent regular repayment on your card dues and EMIs will definitely help you with a good credit score. If you become delinquent and default on your loans, your credit score will be negatively impacted because the lender will report that you are not in compliance with the terms of your loans. Even if you missed a payment, do not sulk in worry. Get up and bring your loan to regularity now. Having a credit card is not your ticket to go overboard on shopping! Things can take a detour and you may soon find yourself in a pool of debt. Using the card to its full capacity is never the right thing to do. Try spending only up to 40% of your credit limit to keep the balance low it will help you repay the full amount on the due date and also keep your credit score in low. Too many credit inquiries on your profile by banks ‘whether they be for a credit card or a loan’ also can also bring down your score, so make sure you’re only applying for credit only when it really is necessary. Select a credit card and a bank after doing research rather than blindly applying for credit with many banks. Don’t lose the good credit score you’ve worked for! Now’s definitely a good time to ask yourself if you’re being proactive about protecting your financial health. Management guru Peter Drucker said that you can’t manage what you can’t measure. To manage over your credit and your financial life, you must measure your creditworthiness through the credit score regularly. Tracking your credit score every quarter helps you stay on top of your own credit report and thus, maintain a good credit score. So there you have it, all you need to do is blend these simple steps together and make a great recipe for a good credit score! If you still feel uncertain about how to build and maintain your credit score, you can read our BLOG or feel free to get in touch with us!